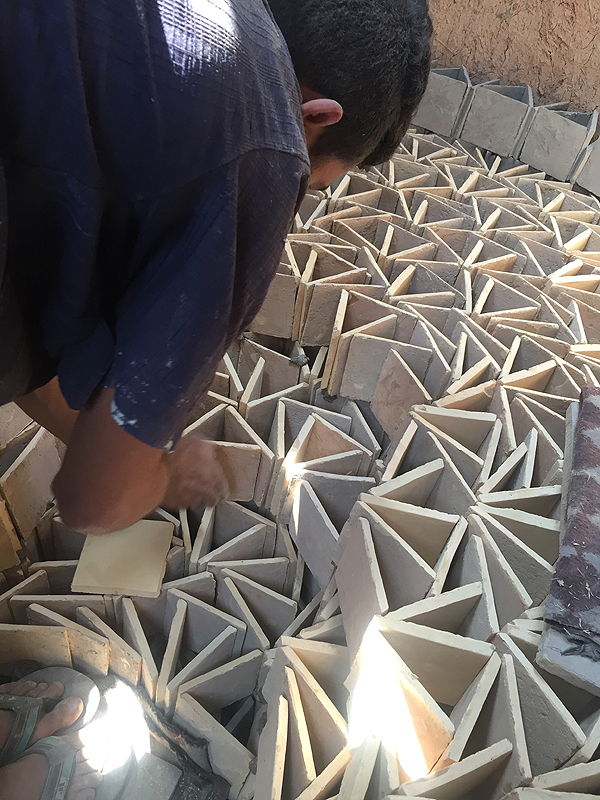 Since 2013, Ateliers Zelij has built a bridge between traditional Moroccan zellige tile-work and contemporary architecture. The geometric rigor of patterns combined with the soft irregularity of surfaces and shades of color have made of these antique glazed and chiseled clay tiles a must-have in decoration. The zellige tile-work installation, which Hermes chose to put on display at their art de vivre stand in Milan, is but one example. 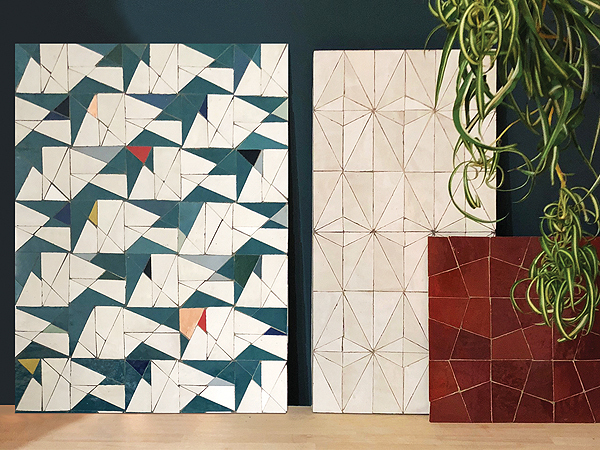 Artist and designer, Samir Mazer born in Tetouan Morocco, reinvents new patterns and new formats on a daily basis with Delphine Laporte from within their Toulouse based studio. A complementary partnership, both at work and at home, has made this a duo key figure of the zellige revival. Originating with the construction of the Alhambra, the traditional zellige is in itself a formal alphabet, initially inseparable from religion. 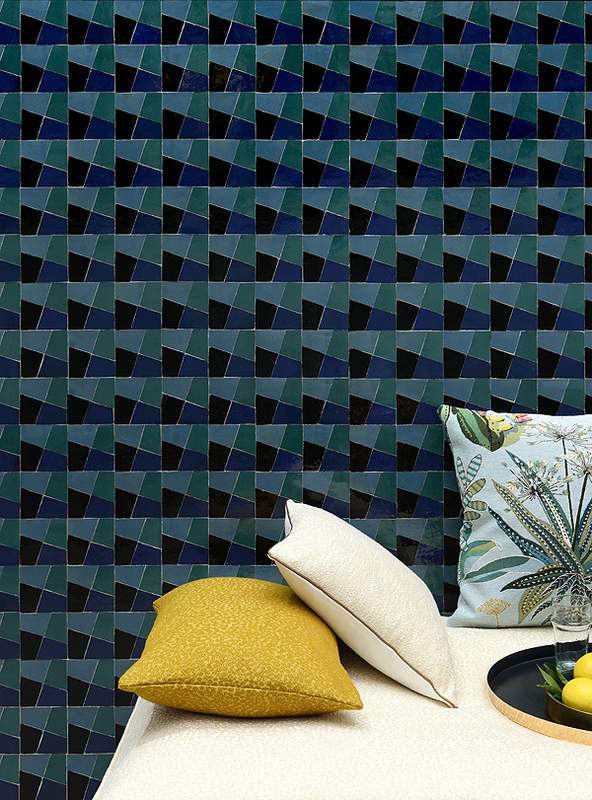 Its geometric and botanical patterns, infinitely repeatable, are an ode to perfection. It is a graphic system exceeding human contingency, reaching meditative rhythms through precise codes. The charm of the zellige lies in its centuries-old wood-fired cooking. The varying temperature of the fire gives the tiles slightly different shades of colors and the soft irregularities which beautifully capture light. It is needless to say, be it a uniform or patterned, a wall of zellige is always unique and sensual. Made in Fez, for the high quality and easy to carve clay, the zelliges produced by Ateliers Zelij offer formats and compositions which break with tradition. This contemporary approach first seduced Moroccan artisans, guardians of this ancestral craft, who were followed closely by the most prestigious French architects for whom Samir Mazer proposes unique made-to-measure series unedited in their contemporary editions nor in the reproductions of traditional patterns. 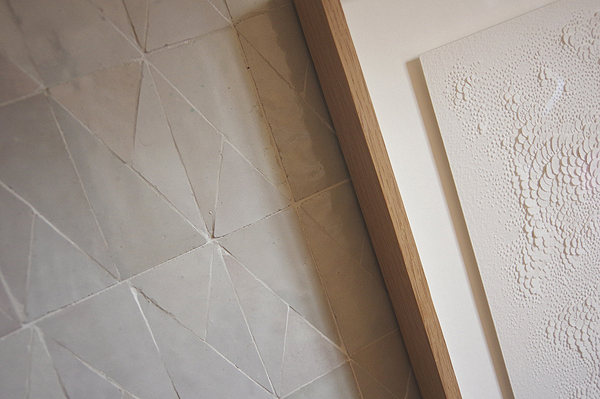 The artist and designer uses these clay tiles like pixels, creating patterned rhythms to the beat of the digital era. This success relies in part on a small but significant technical revolution: the fragile zelliges are now pre-assembled in a bed of resin, enabling their transport without breakages and their installation at a lower cost. Sending a wall of zelliges in assembled pieces to cover the walls of a house in California is no longer just the extravagance of a millionaire! 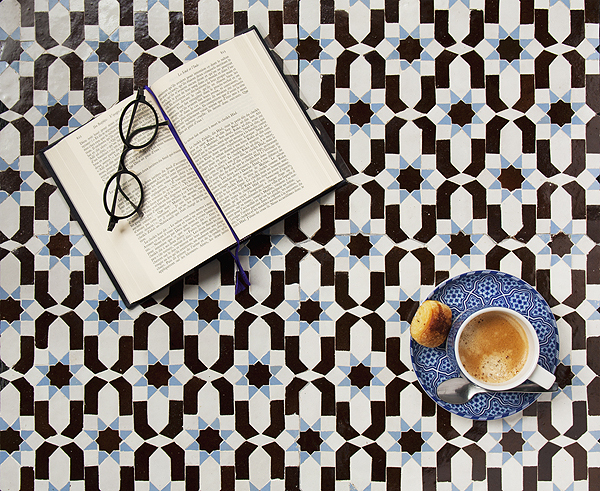 The product has gained a new flexibility, increasing by tenfold the perspectives for this antique tiling which has never been so modern.